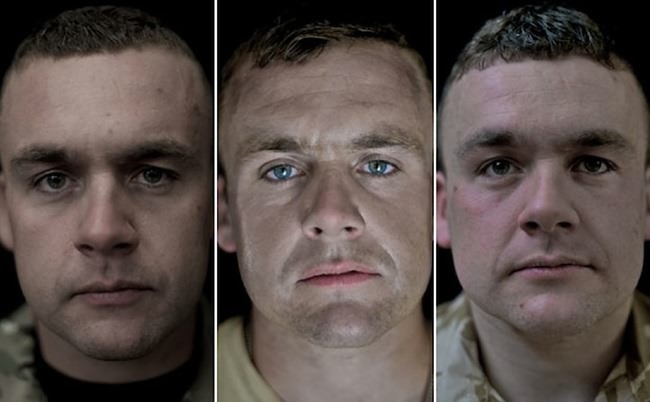 For many of us, it is impossible to imagine what it would be like to fight in a war, and for many of those who have had to it is impossible to forget. 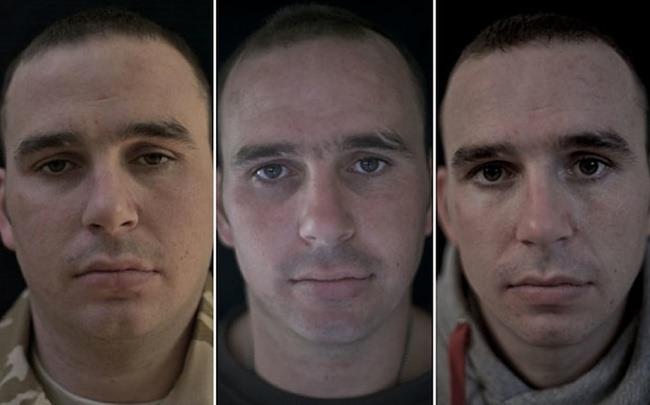 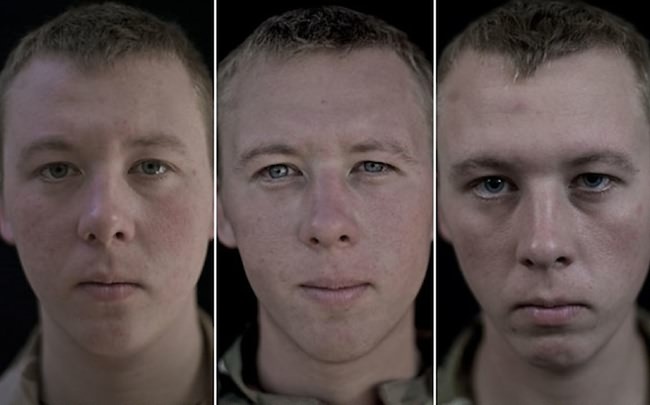 Photographer Lalage Snow photographed and interviewed members of 1st Battalion The Royal Regiment of Scotland before they were sent to Afghanistan, after three months' service, and days after they returned home. 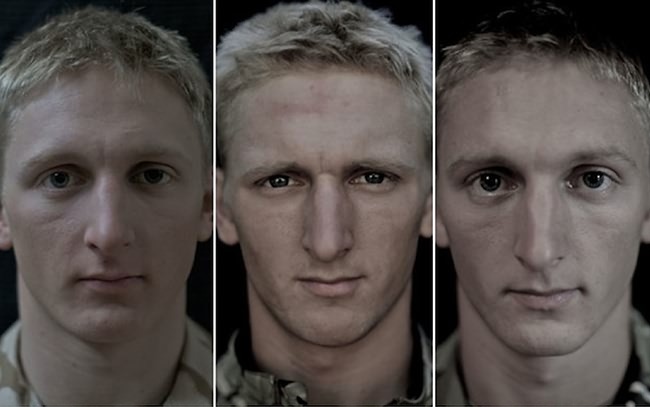 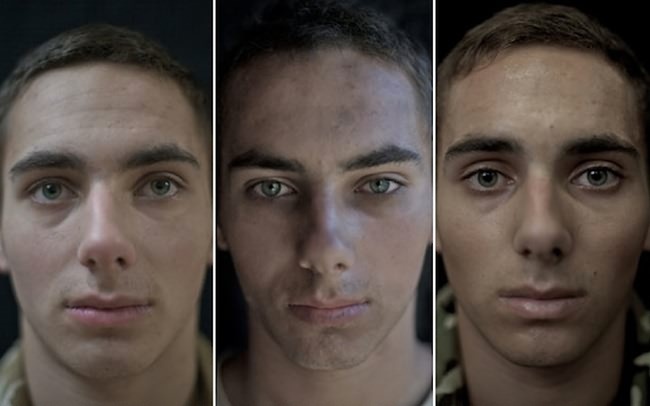 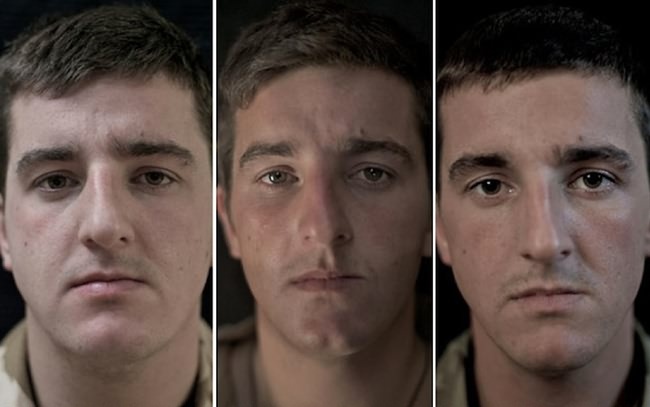 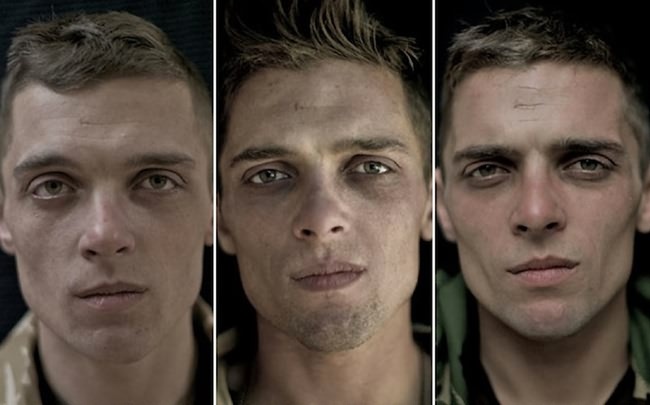 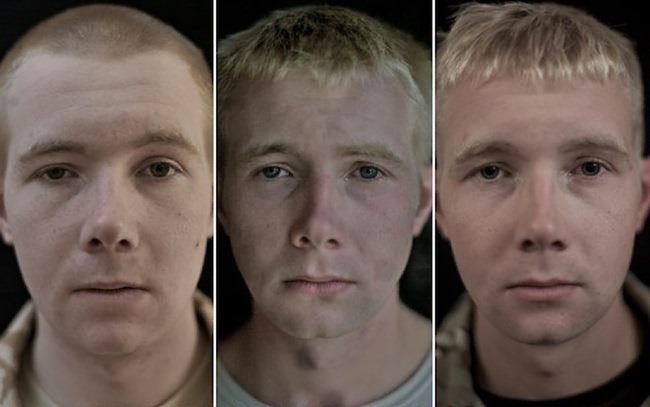 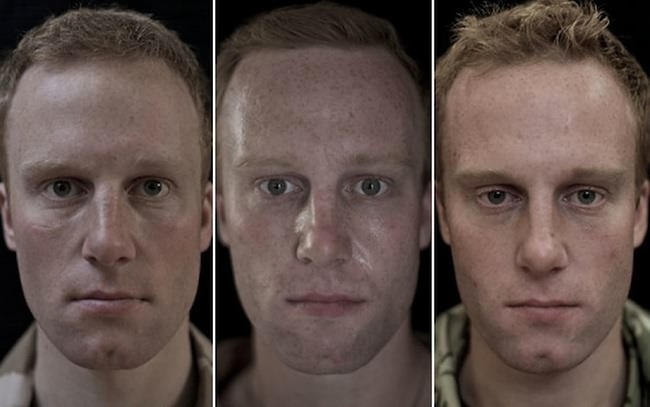 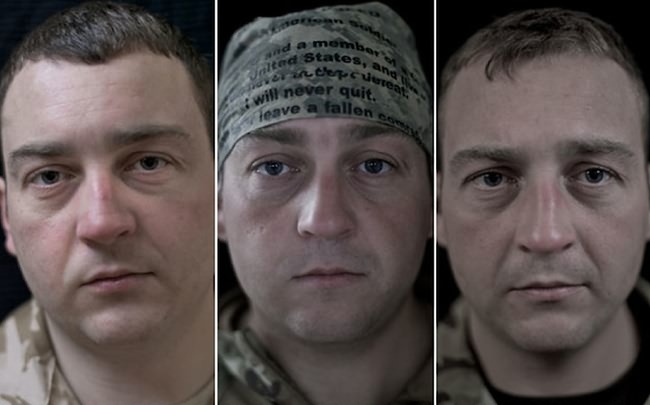 The three-panel juxtaposition allows the viewer to observe the physical changes a stationed soldier in a war zone goes through. 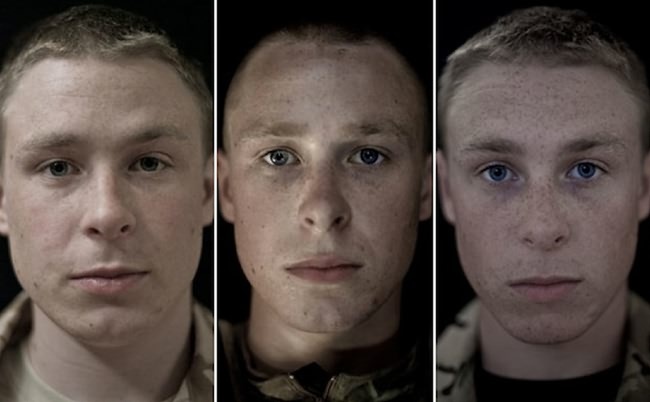 Regardless of age, the boys that went in came back as men with experiences beyond their years. 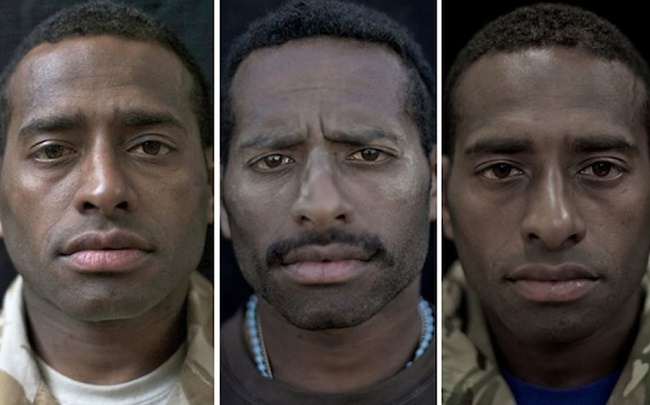 One of photographer Lalage Snow's main motivations to put together this important series was to give several brave men and women the opportunity to explain what their experience overseas is really like. 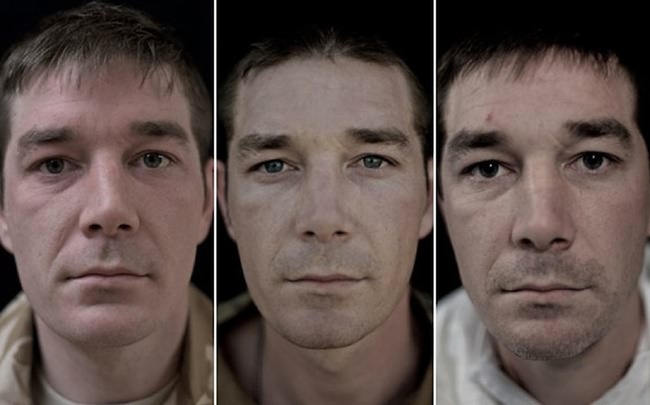 Fear is a common thread shared throughout the We Are Not The Dead series. 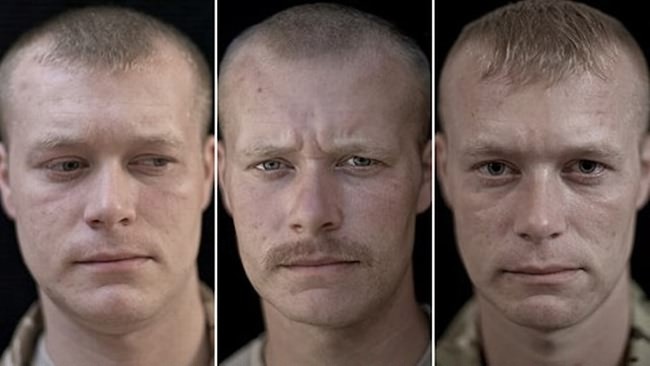 Snow says, "As the body count of British servicemen killed or wounded rose and the political ramifications of the British army's presence in Afghanistan became increasingly convoluted, more and more soldiers felt like they didn't have a voice, or at least, weren't being listened to."